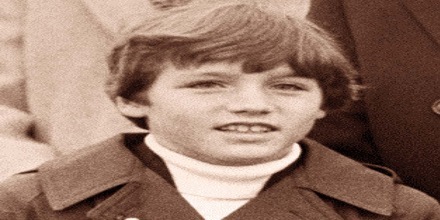 Justin Trudeau, in full Justin Pierre James Trudeau was born on December 25, 1971, in Ottawa, Ontario, Canada. 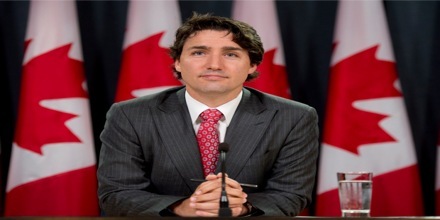 He is a Canadian politician, prime minister of Canada (2015– ), leader of the Liberal Party (2013– ), and son of four-term prime minister of Canada Pierre Trudeau. Before joining politics actively, he was a teacher and chaired the board of Katimavik, a project taken up by a family friend. He first gained public exposure at his father’s state funeral, where he delivered a moving eulogy. He was first elected in the 2008 federal election in which he represented Montreal’s Papineau riding. In the following years, he became Liberal Party’s critic for a number of departments like Youth and Multiculturalism, Citizenship and Immigration, Secondary Education, Youth and Amateur Sport. While seeking the position of the Prime Minister in 2015, Justin Trudeau promised a lot of unconventional changes in fields like abortion rights, marijuana legalization, tax payment. 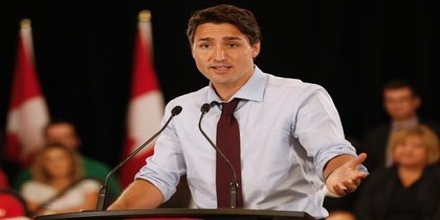 His campaign was positive, enhanced by Trudeau’s remarkable oratory skills. Liberal Party’s victory was unprecedented when it moved from 36 to 184 seats through the earnest efforts of Trudeau. The handsome Trudeau has starred in a TV movie ‘The Great War’ and is also famous for his boxing skills. 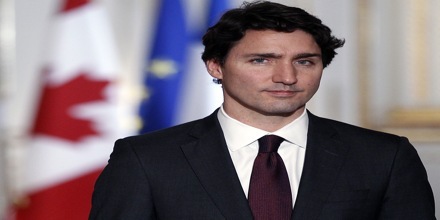 Born on December 25, 1971, in Ottawa, Canada, Justin Trudeau was immersed in Canadian politics from the start. 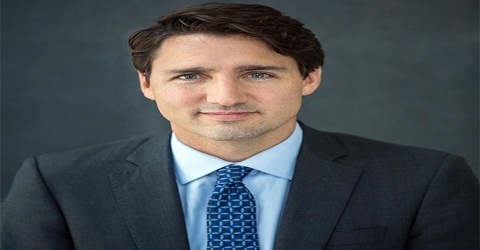 He is the oldest son of former prime minister Pierre Trudeau and his wife Margaret and spent his early years at 24 Sussex Drive, the prime minister’s residence in Ottawa. In fact, only months after his birth, American president Richard Nixon predicted his political future during a Canadian state dinner with Trudeau’s father. Trudeau’s parents separated in 1977. After their divorce was finalized in 1984, Pierre moved to Montreal with Justin and his younger brothers Alexandre, or “Sacha,” and Michel. Justin attended the same school as his father, the Jesuit-run College Jean-de-Brebeuf. He went on to study literature at McGill University, earning his bachelor’s degree in 1994. Among many jobs he took on during these years included being a nightclub bouncer in British Columbia, a snowboard and white water rafting instructor, a radio host and math teacher. Justin would go on to pursue a degree in education at the University of British Columbia. He completed his degree in 1998—the same year that tragedy struck his family. His youngest brother Michel died in an avalanche. In the wake of this loss, Justin became involved in promoting avalanche safety. He taught French and Math at the West Point Grey Academy before joining politics. Trudeau married Canadian TV and radio host Sophie Grégoire in 2005. The couple has three children, Xavier, Ella-Grace and Hadrien. In 2014, Trudeau published his memoir Common Ground, in which he shared his experiences as the son of a prime minister. He started his political career by seeking the Liberal Party nomination in the district of Papineau. On April 29, 2007, he picked up 690 votes to 350 for Deros and 220 for Giordano, thereby winning the nomination. He won the next year election of Papineau on October 14, 2008 by defeating Vivian Barbot of Bloc Québécois party. In 2008, Trudeau entered the parliament as a member of the Official Opposition. In 2009, he chaired the Liberal Party’s national convention in Vancouver. In October 2009, he was appointed as the party’s critic for multiculturalism and youth. September 2009 saw him take the post of the critic again for youth, citizenship and immigration. Justin Trudeau won the Canadian federal election in Papineau on May 2, 2011. On November 17, 2011, Trudeau stripped down to his undershirt while at a charity event for the Canadian Liver Foundation. During his campaign in 2013, this clip was shown by the opposing party in attack ads. In addition to having acting skills, Trudeau showed himself to be a skilled boxer in 2012. He had sparred with his father growing up, and that practice paid off when he defeated conservative senator Patrick Brazeau in a charity boxing match. 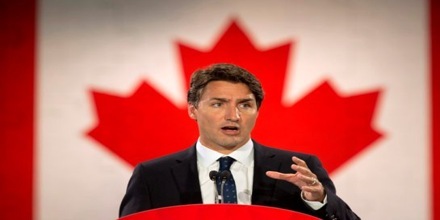 The charismatic, young Trudeau also proved to be a rising political force, becoming the Liberal Party’s leader in 2013. On April 14, 2013, Trudeau defeated both his fellow leadership candidates Marc Garneau and Joyce Murray and became the leader of the Liberal Party with 80.1% of 30,800 votes. However, the same year, Trudeau chose to give up his seat in favor of Irwin Cotler to show respect for his work in fighting Apartheid with Nelson Mandela. Trudeau led his party to a remarkable victory in October 2015, which won the majority in Parliament, going from 36 seats to 184 seats — the largest increase in the country’s history. He unseated Conservative Party leader Stephen Harper, who had served as prime minister since 2006. 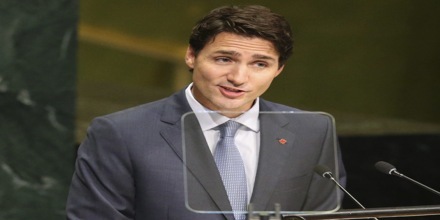 In his victory speech, Trudeau said, according to the National Post, “Canadians have spoken. You want a government with a vision and an agenda for this country that is positive and ambitious and hopeful… I promise you tonight that I will lead that government.” At 43 years old, Trudeau was the second youngest person to become prime minister of Canada — (the first being Joe Clark who had been sworn in as PM a day before his 40th birthday in 1979). Trudeau is also notable for being the first verified PM with non-European roots, his sixth great grandmother being of Malays descent. Despite Trudeau’s progressive popularity, opposition has found its way to the young prime minister. In November 2016 environmentalists, political allies and indigenous groups railed against his approval to expand The Kinder Morgan Trans Mountain project, a pipeline allowing oil sands from Alberta to be transferred to a port in British Columbia, citing harm to the environment and climate. Trudeau has rejected this notion and has asserted his decision was based on science and would not threaten the environment. As of January 2017, Trudeau is under investigation for a trip he took to Aga Khan IV’s private island. The probe seeks to determine if the trip was in violation of the Canadian Conflict of Interest Act. On February 10, 2017, at a townhall in Yellowknife, Trudeau admitted he had “turned his back” on the promise to reform the electoral system. In 2017, Trudeau criticized the executive order signed by President Donald Trump that bans refugees from Muslim-majority countries from visiting the United States. On social media, he displayed support for affected refugees.